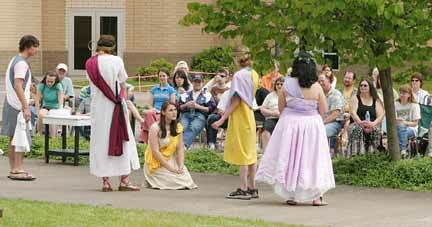 The final performances for the Thespians of Parkrose High School offered a triple-show production the first days of June ‚Äì outdoors! 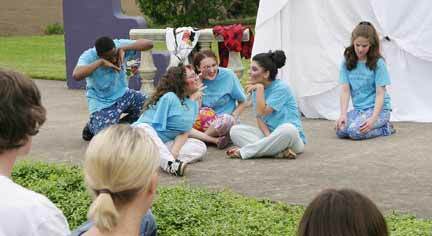 Two evening shows and one afternoon performance attracted hundreds of community members, parents, and friends, who appeared to be thoroughly entertained. The Advanced Theater Class students wrote and produced this program. They shared their imaginative presentation with Prescott and Shaver Elementary schoolchildren. The Advanced Class produced and group-directed this piece, performed at the MHC One Act Festival. 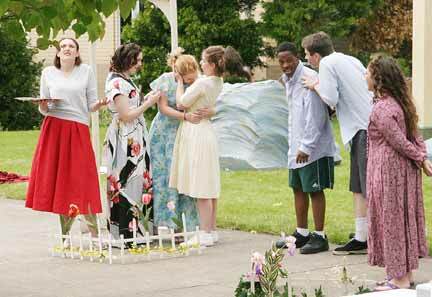 They also went on to present it at the State Acting Competition in Salem. A unique adaptation of William Shakespeare’s play ‚Äì complete with love stories, battles against Amazons, trouble-making fairies, and so much more! Next year, watch for the musical comedy, “Bye Bye Birdie”, the comedy farce “Arsenic & Old Lace”, and Shakespeare’s romantic drama, “Romeo & Juliet”.